Earn a Lot of Money from Thermography | Crystal Graphic Equipment, Inc.
No, this is not about the thermography that’s used in health care facilities to check breasts and ovaries of female patients. We are referring to a wholly different kind of thermography, the one used in printing. There’s a lot of money to be had in termographic printing. So for those who are inclined to put up a business involving printing, please pay close attention. What’s Thermography or Termographic Printing? Since this is a highly technical process, let’s refer to the experts in this area. According to prepressure.com, thermography or thermographic printing is a printing process that causes text or graphics to be slightly raised from the substrate. The resulting visual effect is interesting, making this a technique that is commonly used on wedding invitations, letterheads, business cards, greetings cards, gift wrap, diplomas and packaging. Since it is also a tactile effect thermography can be used to print braille text. “The powder that is used is available in a clear matt or high gloss finish which allows the ink color to show through. By printing text and graphics in two or more spot colors, this means that the artwork can contain multiple colors. The resin is also available in metallic gold and silver,” prepressure.com added. That’s just thermographic printing in a nutshell. What’s important to point out is that, this type of printing is used in producing attractive prints. For instance, in wedding invitations, the concerned couple would not want to distribute cards that are haphazardly done, the occasion being the most important in their lives as a couple, so they would order cards that are thermographic printed. It seems thermograpic printing is in demand in almost all significant occasions and celebrations. It goes without saying it is a potential goldmine for those of you who decide to venture into printing press business. Where to Buy Machines and Equipment? 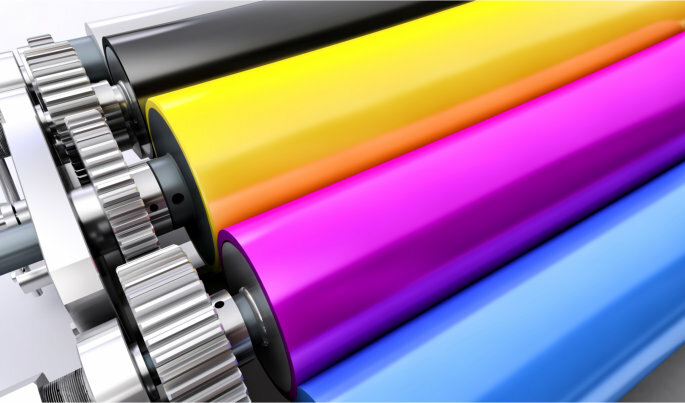 One of the important questions then is: where to get the high quality printing press equipment and machines? 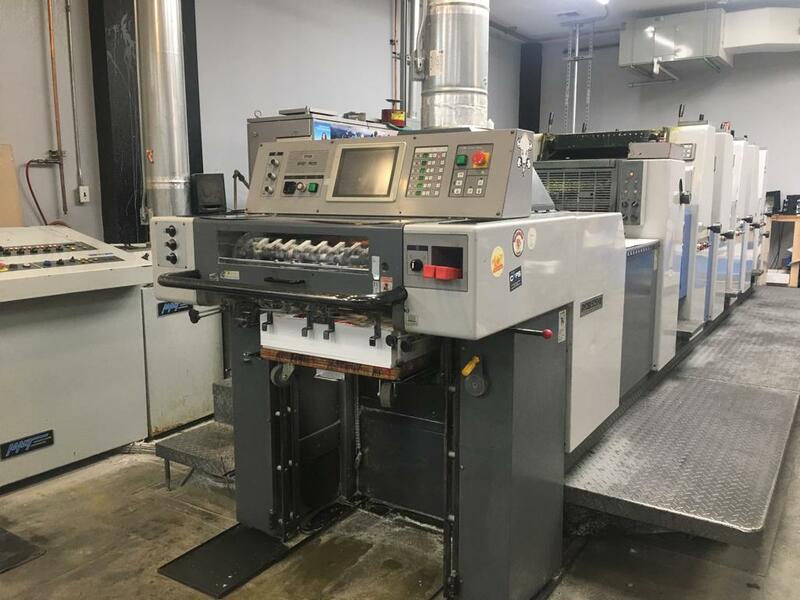 Leave that worry to us at Crystal Graphic Equipment, Inc., the trusted source of Wholesale Printing Press Machines in Wyandanch Ave., Wyandanch, NY. We are the leader in Wholesale Printing Press Machines since 1985 and we have continued the legacy by providing services of the highest quality by working closely with our customers and by constantly solving the challenges and seeing opportunities in the evolving business environment. We employ only the best technicians for our company who are based in our two offices – one in Long Island New York and the other in Hollywood, Florida. They have undergone strict training and we are confident that we can assist you in anything that you may need from our company. We carry a long inventory stock list. Not only that, we also market brands that have been institutions already in the printing industry, such as: Heidelberg, Adast, Komori, Hamada, Mitsubishi, Roland and many others. Call us now at 631-643-0552 or leave us a message with your questions and requests at the Contact Us tab of our website crystalgraphic.com. Our website also contains the contact information of our Long Island, New York and Hollywood, Florida offices. Are you familiar with thermographic printing? If so, please share what you know about it in the comments portion below this blog. This entry was posted in Wholesale Printing Press Machines and tagged thermographic printing, Wholesale Printing Press Machines in Plunkett St. Hollywood FL, Wholesale Printing Press Machines in Wyandanch Ave. Wyandanch NY. Bookmark the permalink.